If you're anything like us, the thought of a road trip gives you the tingles - in a good way - as you imagine the feeling of cruising down the road and watching the scenery zip by your open window. Road-trippers like us see driving as more than just a way to get from A to B - it's an experience in itself, and one that should be treasured and savoured, like a fine wine. With that in mind, we're always on the lookout for the most scenic, thrilling, unique and enchanting drives around the world. Rugged coastlines, breathtaking views, secret coves and wild headlands... These are just some of the things that make California's iconic Highway 1 an absolute dream to drive. At 659 miles, Highway 1 is the longest state route in California, starting in San Francisco in the north and stretching all the way to San Diego, on the border with Mexico. 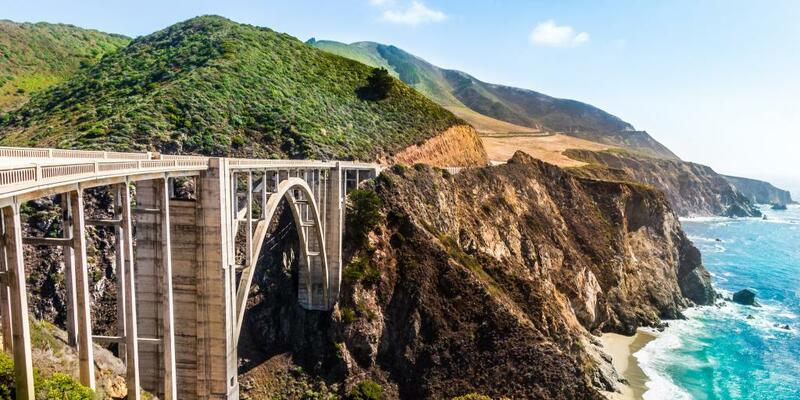 The stunning and occasionally dizzying drive passes through some of the state's most exciting destinations including Carmel, Big Sur and Monterey, home of the famous aquarium. These should definitely be on your itinerary, but the beauty of Highway 1 is that you can essentially pull off anywhere and find yourself awe-struck by the sensational views. Just beware that the road is sometimes closed due to natural occurrences like mudslides and forest fires, so keep an eye on the news and weather forecast before you go. 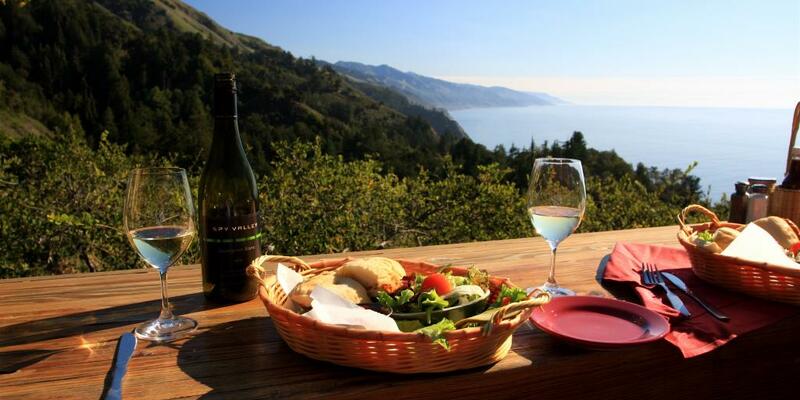 Top tip: There's a wonderful restaurant called Nepenthe perched on a cliff about about 2.5 hours south of San Francisco. This is the perfect place to stop for a delicious bite to eat with some spectacular views - and don't forget to pop into the gift shop downstairs! Voted Norway's 'engineering feat of the century,' the jaw-dropping Atlantic Road has got to be seen - or, rather, driven - to be believed. 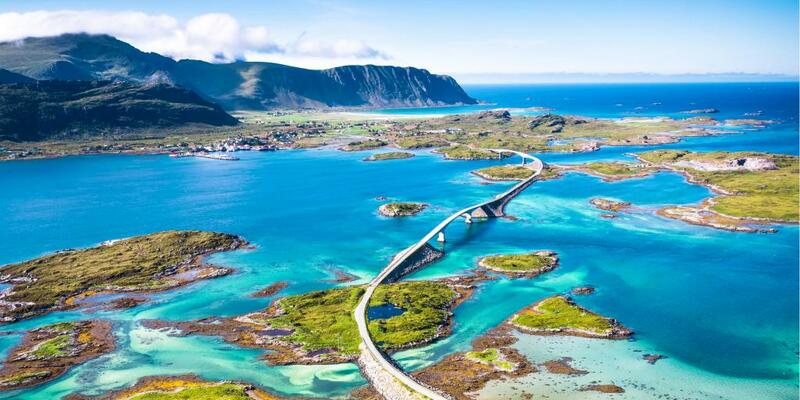 This eight-kilometre-long (5 mile) route connects the island of Averøy with the mainland, bending and swooping over the ocean like an elevated roller coaster. The journey is packed with beautiful Norwegian scenery, attracting thousands of keen road trippers every year. The Atlantic Road is super stunning in pleasant weather, with the sun reflecting off the sea and slowly dipping behind the surrounding mountains in the evening. But it's even more spectacular when the wind picks up and the waves crash against the bridges, making for a seriously dramatic atmosphere. Top tip: Drive slowly, pull over to explore one of the islands and pack a warm jacket - the weather can be unpredictable! 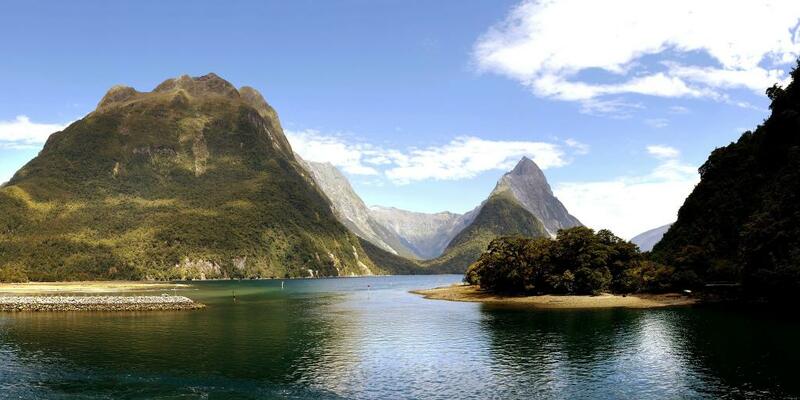 State Highway 94, which runs between the lakeside town of Te Anau and the phenomenal Milford Sound, is one of the most popular drives in New Zealand. 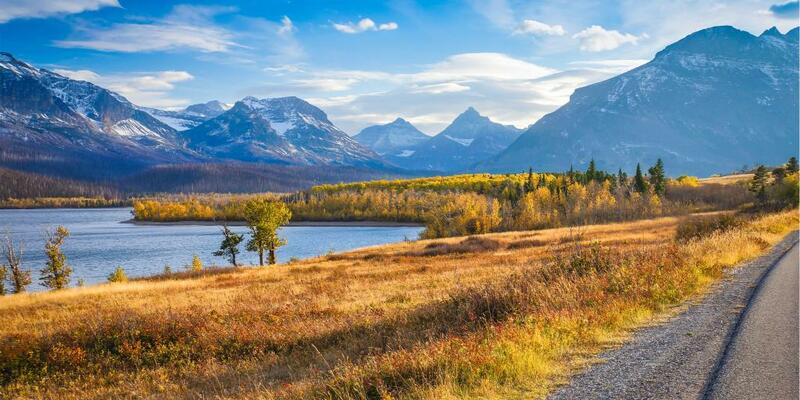 On the road you'll cruise by grand mountain ranges, glacial lakes, babbling creeks and thick native bush. There are countless remarkable places to stop along the way, with plenty of hiking, bird-watching and photography opportunities. Don't forget to stop at the awe-inspiring Monkey Creek to drink fresh water straight from the spring! The southernmost section of U.S. Highway 1, known as the Overseas Highway, provides unbelievably picturesque views, crossing over the turquoise waters and coral reefs of the tropical Florida Keys. It begins in Miami and ends at Key West, passing through some of Florida's best-kept secrets like Key Largo, Islamorada and Marathon - a haven for wildlife lovers. 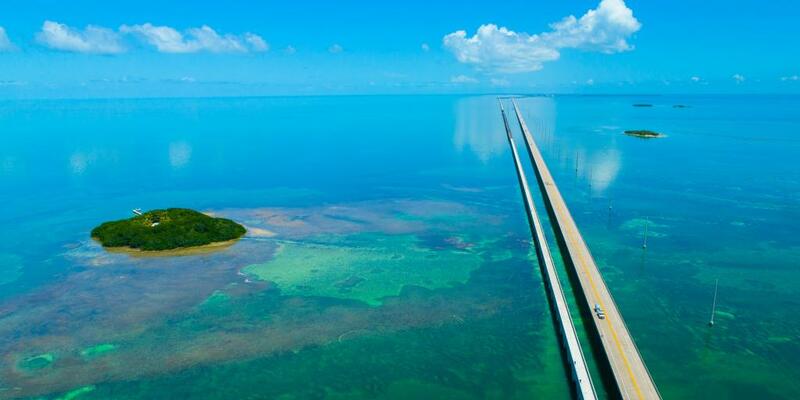 A particular highlight is the Seven Mile Bridge, one of the longest bridges in the world. Completed in 1982, the bridge was built alongside an older version, which was regarded as the Eighth Wonder of the World when it was completed in 1912. While this original bridge is out of use today, you can look over at it while you drive and see the pelicans and great blue herons using it as a perch. In total, the Overseas Highway is 177 kilometres (110 miles) long, offering an incredible alternative to driving from Miami to Key West. Top tip: While it takes just four hours to drive one-way across the Overseas Highway, we highly recommend spending a whole day or two doing it a leisurely pace, giving yourself time to stop at some beautiful gems along the way. Iceland's legendary Ring Road (aka Highway 1) circumvents the whole island, connecting most of the inhabited parts of the country. At 1,332 kilometres (828 miles) long, it's an epic adventure across desolate landscapes, past majestic volcanoes, awe-inspiring glaciers, thunderous waterfalls and steaming hot springs. If you want to get the ultimate Iceland experience, doing a road trip around the the Ring Road is the way to go. 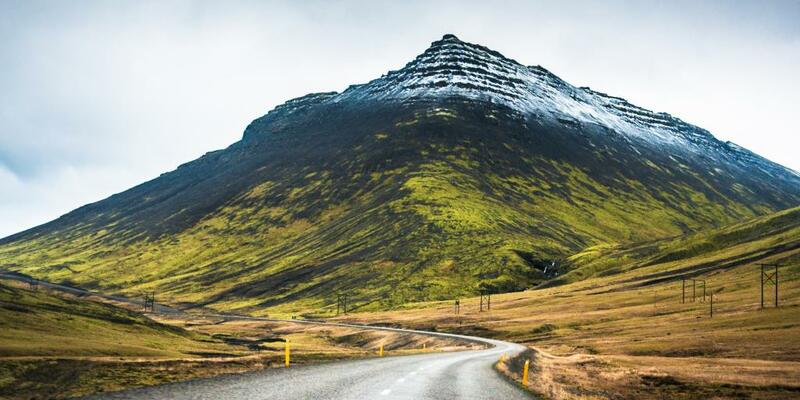 Start your road trip in Reykjavik and travel along the route clockwise, past Akureyri and Husavik (the whale-watching capital of Iceland) all the way back down to the capital. 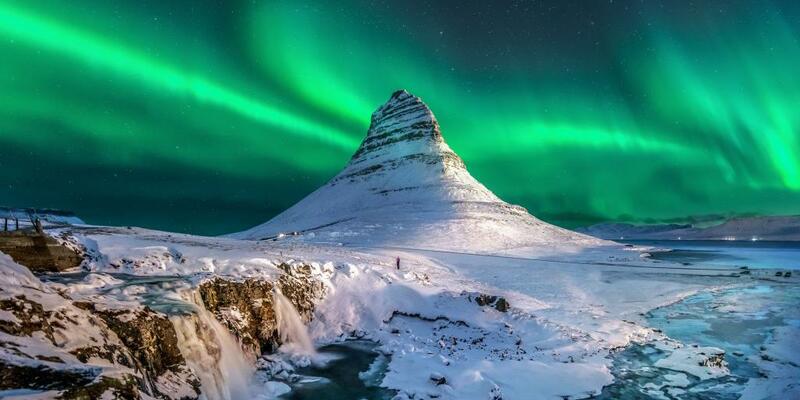 An added bonus is that if you go between September and April, there's a good chance you'll spot the magical Northern Lights illuminating the sky in the evening. Top tip: If you wanted to, you could journey around the entire Ring Road in a day and a half, but you'll want at least a week to do it at a comfortable pace. If you don't quite have 7 days spare but still want to take advantage of all this country has to offer, get inspired by our 5 day Iceland road trip itinerary. 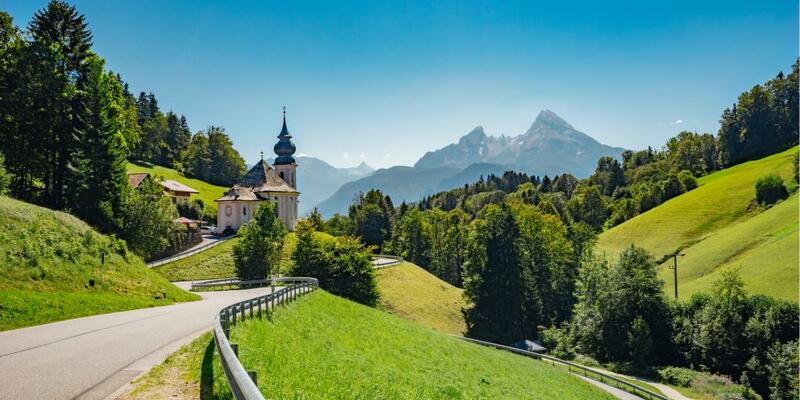 Fairy tales come to life when you drive along the famous Romantic Road in Germany's Bavaria region. Originally a trade route connecting central Germany with the south, today the 350-kilometre-long (217 miles) road is a hugely popular tourist attraction, with numerous quintessentially German towns and majestic castles along the way. 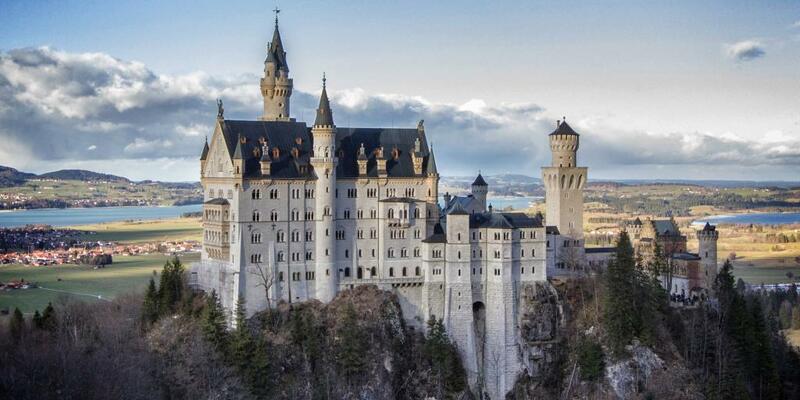 One of the most famous stops on the Romantic Road is Neuschwanstein Castle, a 19th-century Romanesque Revival palace perched on a hill near the town of Füssen. Built for King Ludwig II of Bavaria, the castle is said to have been Walt Disney's inspiration for Cinderella's castle at Disneyland. 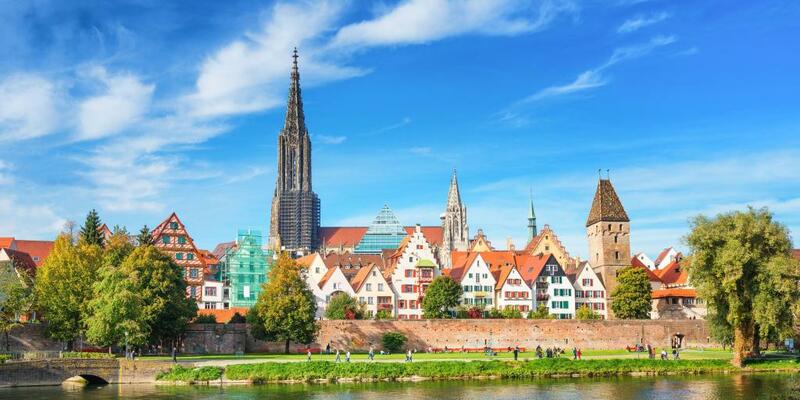 The Romantic Road is also the gateway to countless quaint towns and villages characterised by half-timbered houses, medieval squares and meandering cobblestone alleyways. Top tip: Make sure you stop off in Rothenburg ob der Tauber so you can wander around the charming stall-lined market square and grab a bite to eat in one of the top-notch restaurants in town. Nothing feels more otherworldly that driving on the Valley of Fire road in Nevada. 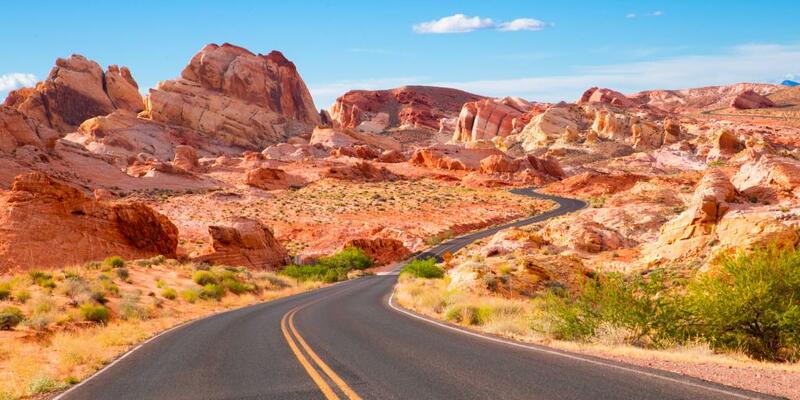 This stretch of road 80km (50 miles) northeast of Las Vegas cuts through the 46,000-acre Valley of Fire State Park. The main characteristics of this route are the striking red sandstone formations that jut out of the desert landscape at every turn. It's unsurprising, then, that Valley of Fire has been featured in a number of films including Total Recall, Star Trek: Generations and Transformers. 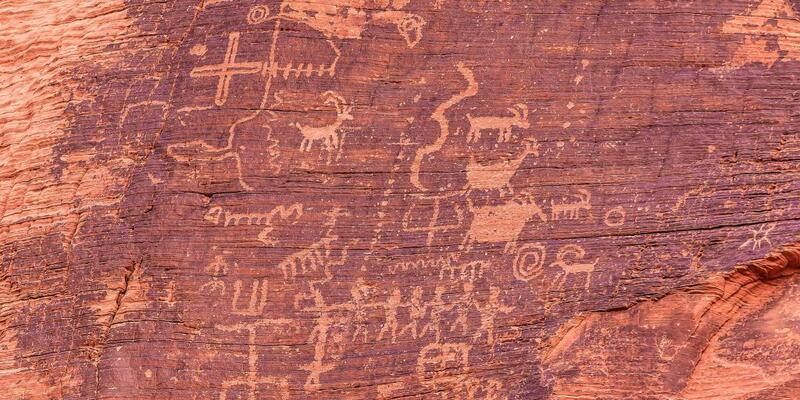 If you're looking for a day trip from Vegas or simply a unique road trip, set your sights on this wild beauty. Note that it costs $10 per vehicle to drive through the park. Top tip: Stop the car at Atlatl Rock so you can check out the ancient petroglyphs there, which were drawn by the Anasazi people 3,000 years ago. The next top driving road on our list is essentially Valley of the Fire's polar opposite: the Denali Highway in Alaska, aka Alaska Route 8. Mountainous, tranquil, and a lot quieter than many of the roads we've mentioned so far, this 217-kilometre-long (135 miles) connects the towns of Paxson and Cantwell in southeastern Alaska. It's mostly gravel, which means you'll have to use a super sturdy vehicle (preferably a 4x4) to get around and stick to the 35-45mph speed limit. As far as scenic drives go, though, you really can't get much better than this. Glittering lakes surrounded by vibrant wildflowers give way to snow-capped mountains and clearwater streams. While you're unlikely to see many other cars, you just might come across a few moose or bears on the route. Note that Denali Highway is shut every winter, from October to May, so make it a summertime road trip. Top tip: There's limited phone reception and services in the area, so come prepared. That means having a first-aid kit, roadside emergency equipment and, if possible, a satellite phone (which some rental car companies will provide for a fee). Australia's rugged splendour is well known, and nowhere is it more impressive than on the magnificent Great Ocean Road. 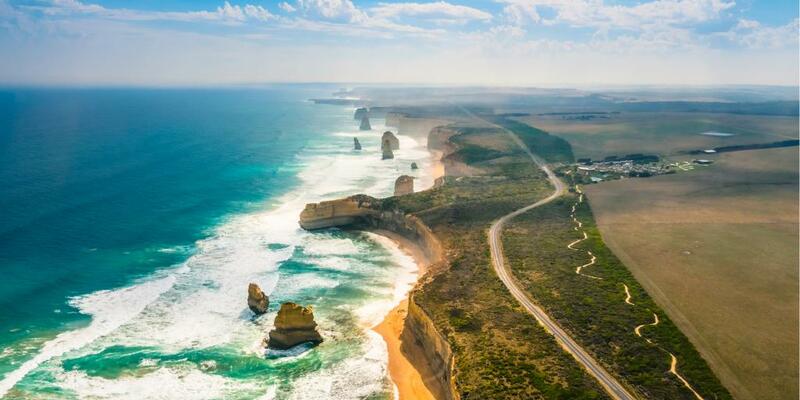 Spanning 243 kilometres (151 miles) and linking the towns of Torquay and Allansford, this scenic route hugs the coastline in southern Australia, near Melbourne. Stops along the way include thrilling surf breaks, misty rain forests, powerful waterfalls, and the famous 12 Apostles - majestic limestone stacks rising up from the sea. Not only is the Great Ocean Road aesthetically stunning, but it also has a fascinating history. It was built by returned soldiers between 1919 and 1932 and dedicated to those who lost their lives in WWI. As such, it's not only an Australian National Heritage site, but it's also the world's largest war memorial - making it a must-do in terms of one-of-a-kind road trips. 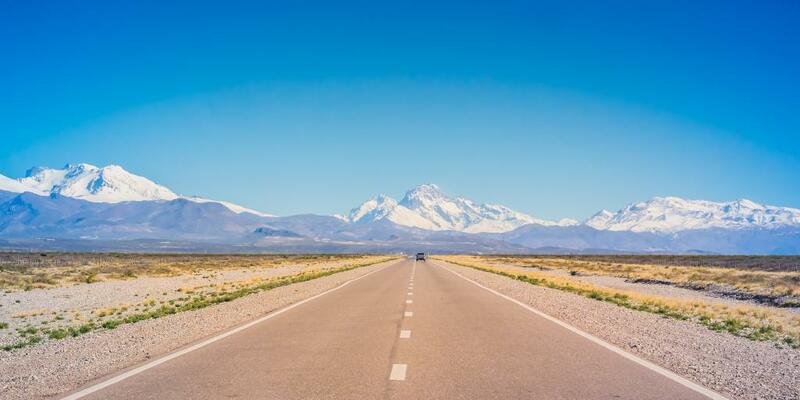 The legendary Route 40 (Ruta 40) skirts up the whole western side of Argentina, covering around 5,000km (3,107 miles) of road including huge swathes of the spectacular Patagonia region. Thanks to its iffy conditions, hairpin bends and out-of-this-world scenery, it's widely (and rightly so!) 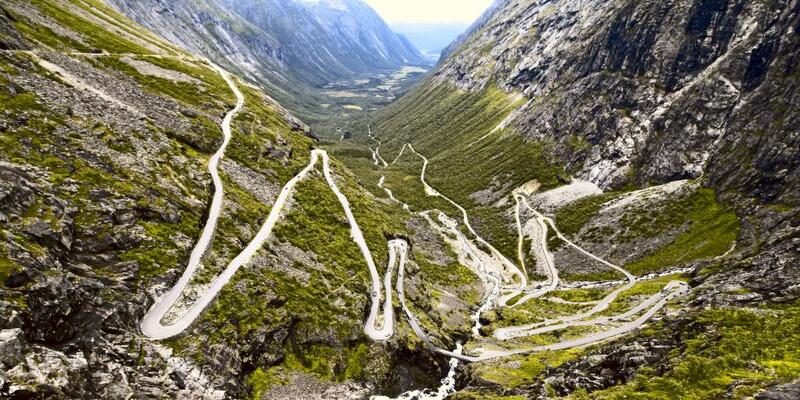 regarded as one of the most epic drives in the world. It crosses 18 rivers and a jaw-dropping 20 national parks and reserves, starting in Mendoza and finishing in Jujuy. The landscapes along Ruta 40 are incredibly diverse; expect to see remote plains and arid deserts interspersed with pristine turquoise lakes, lush forests, and the craggy peaks of the Andes. Top tip: You'll want a hefty vehicle to conquer the gravelly route, so consider renting a 4x4. Bring along a spare tyre or two as well in case one bursts. Also, fill up your tank whenever you see a petrol station, as these are few and far between. Situated amid the Rocky Mountains in Montana's Glacier National Park, the aptly named Going-to-the-Sun Road is all about the bright, sunny scenery. This 52-mile (84-kilometre) highway traverses the Continental Divide through Logan Pass at an elevation of more than 6,500 feet, providing stupendous views of the park from up high. There are plenty of pull-outs along the way where you can get out, breathe in the fresh mountain air, and snap photos of the incredible natural beauty all around you. If you're trying to plan a road trip from Seattle or a day trip from Calgary, we highly recommend setting your sights on this unforgettable route. Yet another Norwegian driving road, Trollstigen Mountain Road, aka Troll's Footpath, couldn't be more different than the scenic Atlantic Road. For starters, this zig-zagging highway snakes up a mountain, crossing rivers and skirting along lush valleys, with 11 nail-biting hairpin bends en route. Plus, having been opened by King Haakon VII way back in 1936, it's a lot older than the Atlantic Road - and it has some mythical legend attached to it as well. If you're lucky, you just might spot the shape of a troll's face jutting out from the cliffs. 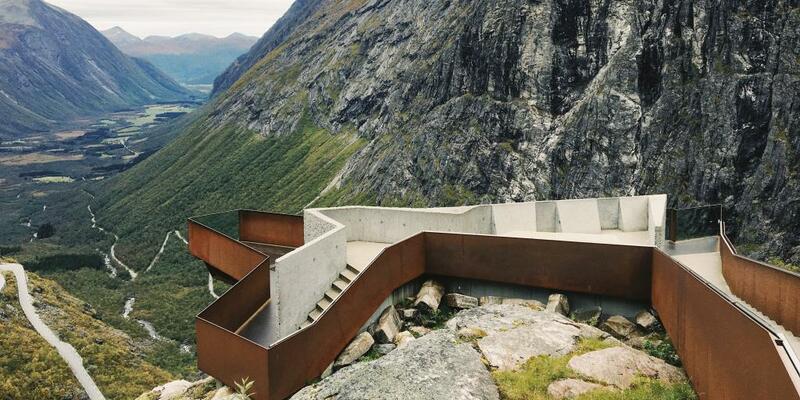 Top tip: Trollstigen is only open from around mid-May to October, so plan your Norwegian road trip accordingly. The island of Madagascar is a world of its own, with 5% of the world's animal and plant species found here and here alone. 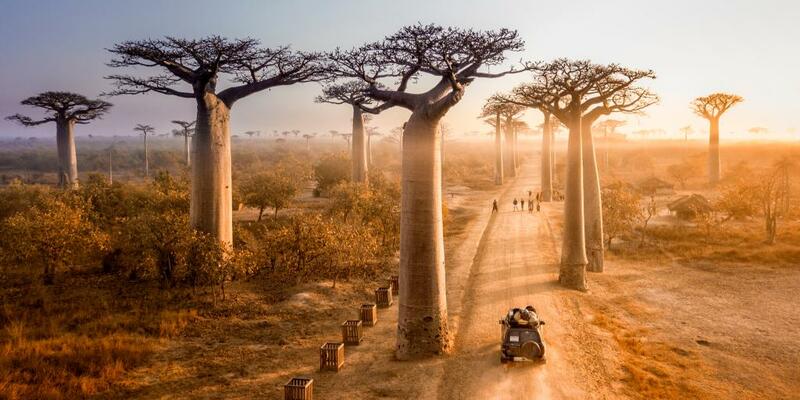 But the most recognisable area of the island is undoubtedly the Avenue of the Baobabs, a section of the RN8 desert road that's lined with colossal, centuries-old trees. Some of the magnificent trees here are at least 1,000 years old, with trunks that are more than 150 feet in circumference. 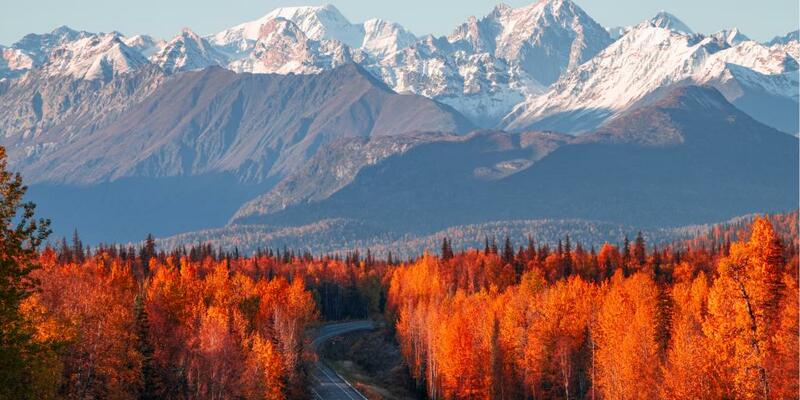 Driving along this remarkable route is an absolute must, especially at sunrise and sunset, when the colours of the trees become even more intense. While the actual avenue is only about 260m (850ft) long, you could literally spend hours gazing up at the wonderful tree giants and marvelling at their grandeur. 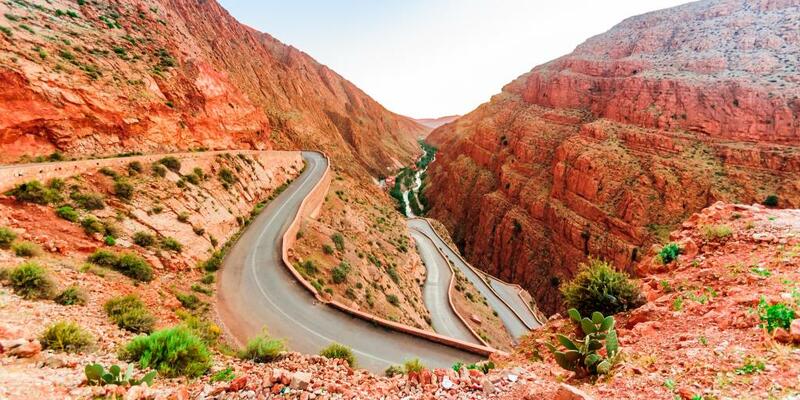 Often listed as one of the most dangerous roads in the world, this vertiginous route, cutting through the Dades Valley in the High Atlas mountain range, is only for those of you looking for a thrill. With lots of tight turns and no barriers between cars and the edge of the mountain, the drive is certainly an experience to remember. But as long as you take it slow and keep your wits about you, there's no doubt you'll get a kick out of this unique drive. The scenery is like a rainbow of colour, with the sensational red rock formations contrasting against the lush greenery of the valley and the deep blue sky above. 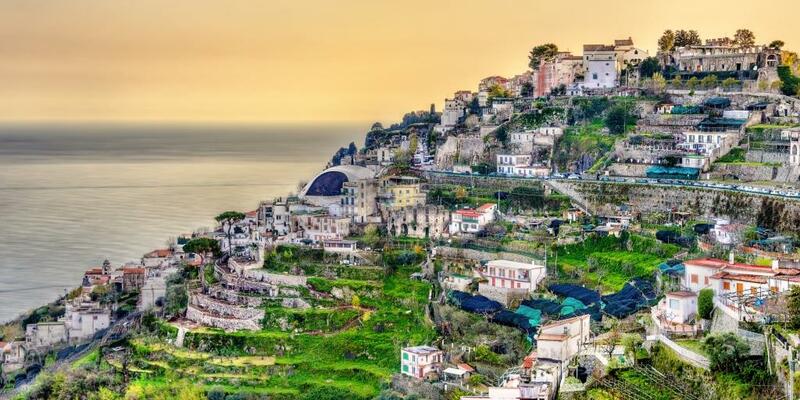 The iconic Amalfi Coast is one of the most stunning and glamorous areas in the world, home to numerous romantic seaside villages along the Mediterranean. To get the full experience, embark on what's known as the Amalfi Drive (SS 163 Amalfitana), the 56-kilometre-long (35 miles) coastal road from Sorrento to Salerno. As you travel from one idyllic village to another, you'll be treated to phenomenal views of the rugged shoreline and turquoise sea below. 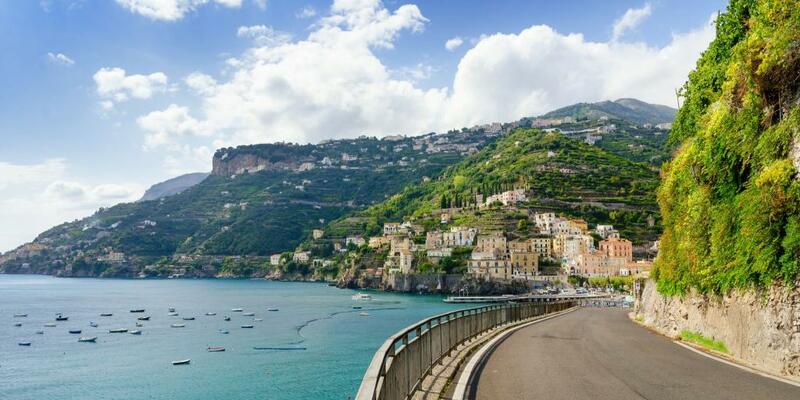 While you could technically do the whole stretch in 2 or 3 hours, we highly recommend turning it into a full-blown Amalfi Coast road trip filled with plenty of relaxation, sunbathing, and mouth-watering Italian food. 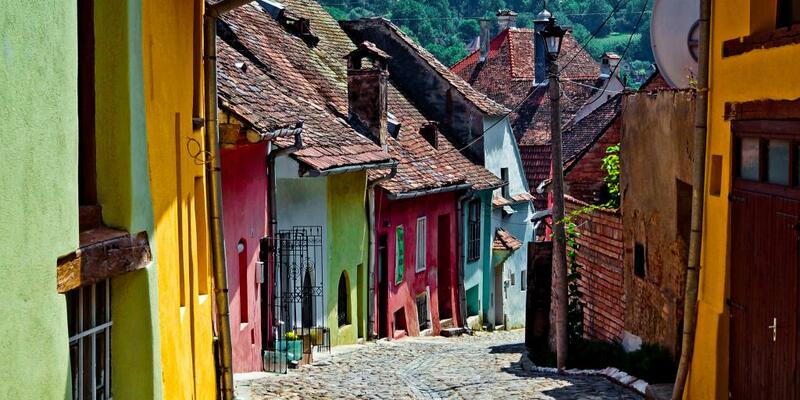 Romania is often overlooked as a top travel destination, but with its low cost of living, fascinating history and dazzling scenery, we consider it a true hidden gem. 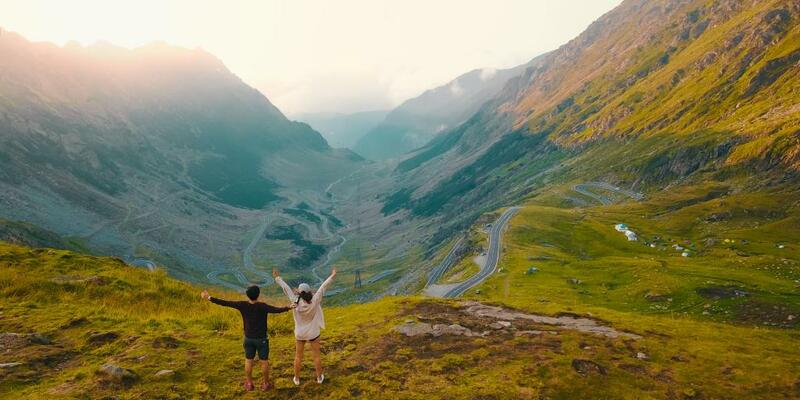 The best way to experience the unique charm of Romania is by driving along Transfagarasan, the country's most famous highway. At 90 kilometres (56 miles) long, the highway crosses through the Carpathian Mountains, starting in the village of Bascov and finishing in Sibiu. The highlight of the drive is undoubtedly being immersed in the mystical Transylvania region, made famous thanks to Bram Stoker's Dracula. Be sure to stop off in the historic town of Sighișoara, known for its resplendent candy-coloured houses and well preserved medieval towers. For more tips about driving the Transfagarasan, check out our Transylvania road trip itinerary. At an elevation of 5,359m (17,582 feet) above sea level, the spectacular Khardung La is one of the highest drive-able roads in all of India. 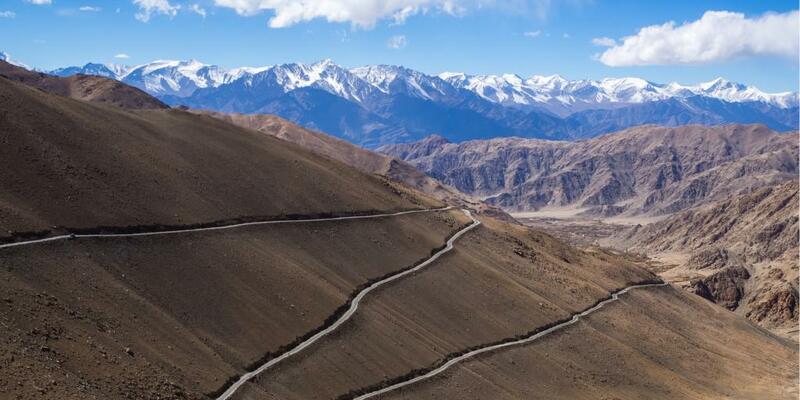 The route is situated in the picturesque Ladakh region, acting as a gateway to the Shyok and Nubra valleys. First opened in 1988, Khardung Pass hugs the side of a mountain for 39km (24 miles), climbing high into the sky and offering mesmerising panoramic views from the top. Note that the road is usually closed from October to May due to heavy snowfall. Top tip: Climbing from 3,500m to 5,600m in just a few hours has been known to cause headaches, so don't be alarmed if the drive makes you feel a little shaky. If you want, take some altitude sickness medication in preparation. The North Coast 500 (or NC500, to those in the know) is an 830-kilometre (516-mile) loop starting and ending at Inverness Castle in northern Scotland. 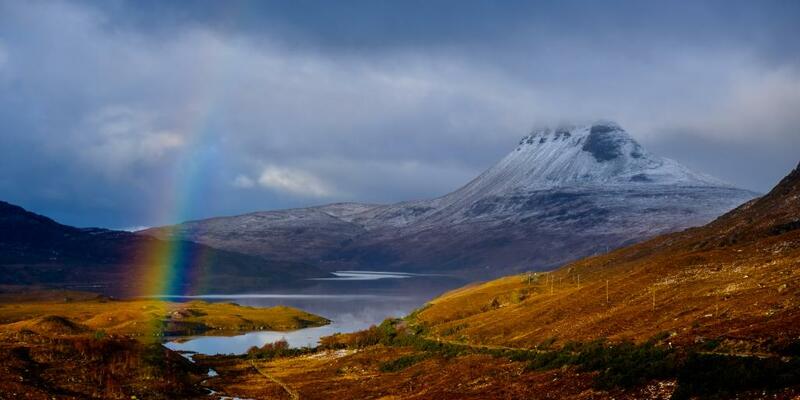 A popular driving road for drivers and motorcyclists alike, this epic route meanders along country tracks and stunning coastal stretches, taking in the best of the Scottish Highlands. 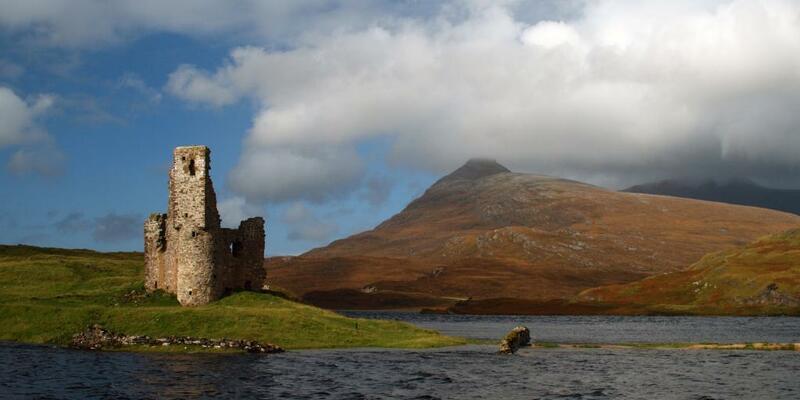 Along the way you'll pass by wild beaches, picturesque lochs, centuries-old castles and lovely rural villages, with plenty of rustic inns to stay at and restaurants to dine in. You can also tap into your adventurous side by choosing to camp in the great outdoors rather than stay in a plush hotel. This area is also known as a habitat for some incredible wildlife, so don't be shocked to see sheep crossing the road and dolphins leaping from the sea. 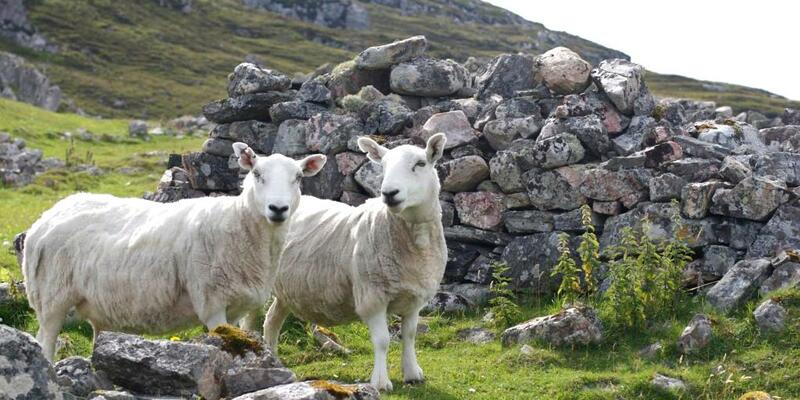 Top tip: While most websites suggest spending 5 days on the NC500, our advice is to do at least a 6-day road trip, so as to have enough time to see and experience everything you want. Yet another steep mountain road, the breathtaking Flüela Pass in Switzerland connects the towns of Davos and Susch in the heart of the Swiss Alps. 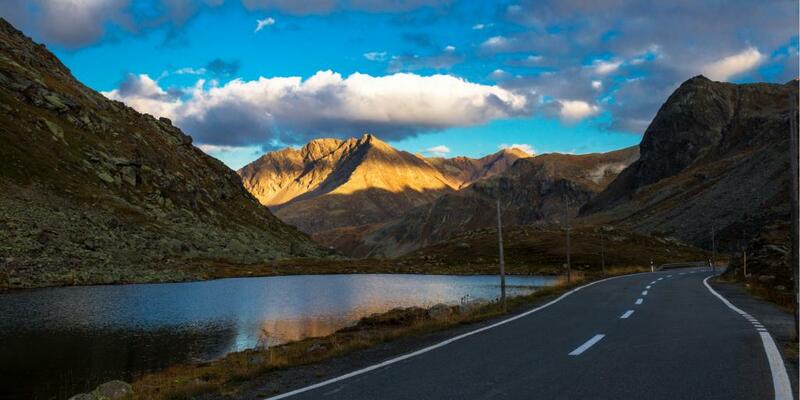 Skirting along the tranquil Engadin Valley and climbing to an altitude of 2,383m above sea level, this road is incredibly scenic, overlooking charming ski towns, snow-capped peaks and verdant woodland. You'll also be able to steal glances at the pristine Davos Lake from the road. Remember that due to snow and icy conditions, the Flüela Pass is not open all year, so keep an eye on the weather and news before you attempt to drive it. Lovingly nicknamed 'Chappies,' this extremely photogenic road travels for 9km (5.6 miles) along the rocky coastline between Cape Town city and Cape Point. 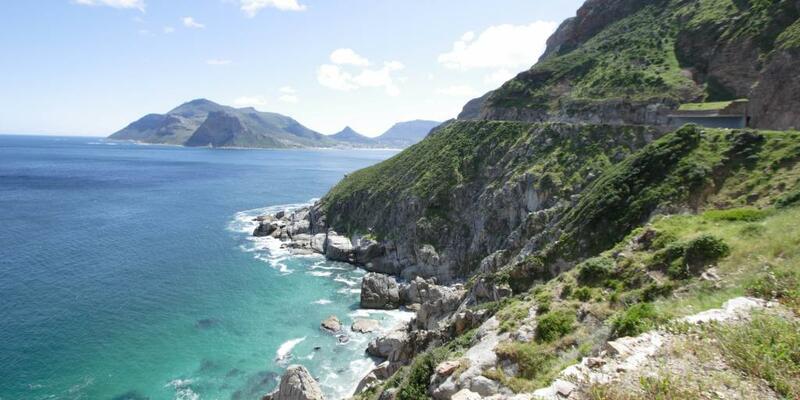 Think of it as South Africa's answer to Big Sur: all craggy headlands, dramatic cliffs and aquamarine ocean views. You'll have to pay a small toll to drive along Chapman's Peak Drive, but it's absolutely worth it for the thrilling, scenic experience that awaits. Bring along a picnic basket and sun cream so you can stop along the way for a meal al fresco. Top tip: Seeing as it's a toll road, be sure to have some cash on you! The fee varies depending on your vehicle and the time of year, but expect to pay around £3 for the trip.